If it's Friday we're back in London, taking a virtual walking tour ‘above ground’ on the London Underground. Think of me as an armchair traveler, using my Tube guide & my fitbit® device, my goal is to walk 10,000 steps a day roughly following along the Underground route, reporting back here on Fridays with my findings. We're currently following the District Line. Here are the previous days. One last post before I fly off to London (and beyond) for real. This is Day 66. Next week at this time, my husband and I will be walking the real streets of London. We like to walk, measuring our Fitbit steps but we could hop on the District line at the Aldgate East stop in Whitechapel and take a ten minute tube ride to the BlackFriars Station. 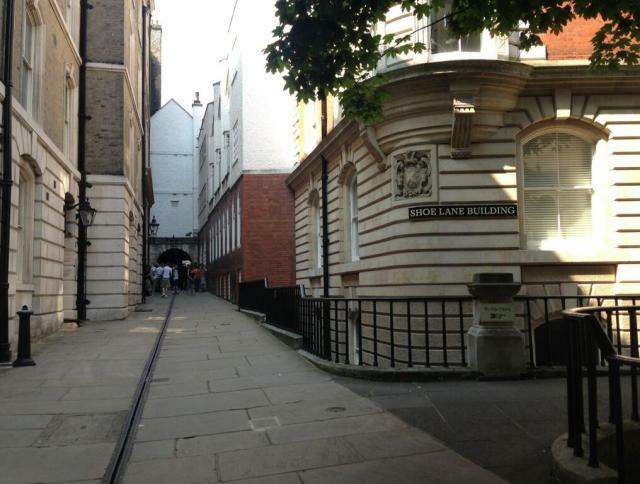 From there, an 8 minute walk gets us to the Old Bailey. The Royal Courts of Justice in the Strand are close by. 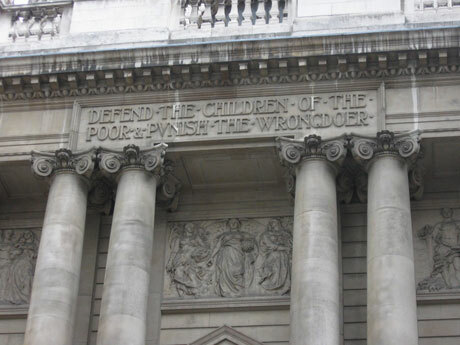 When one hears Whitechapel and the Old Bailey, it’s only natural to think about crime and punishment. Jack the Ripper and all sorts of shady characters come to mind in Whitechapel, with the Old Bailey being the Central Criminal Court of England and Wales where those criminal characters got their just desserts. Unless they got away. Or were innocent. But if you’re a True Brit at heart, if you’re among the anglophiliest Anglophiles, chances are it’s Rupert Penry-Jones who comes to mind. 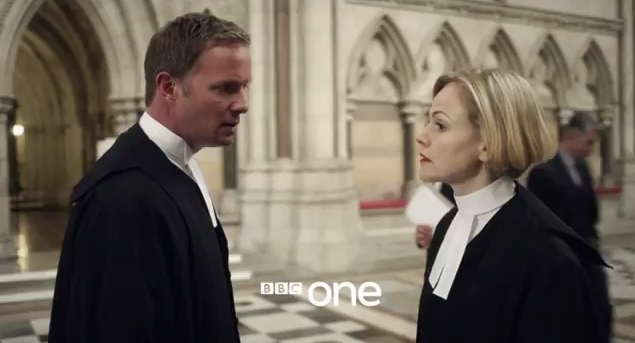 Penry-Jones, the actor who had the job of investigating all sorts of Ripperesque crimes in the heart of London’s dark and gritty crime-centered Whitechapel as DI Joseph Chandler, also played Clive Reader, an upper crusty type barrister whose job it was to defend those criminal elements at court in the series Silk. A veritable bonanza of law & order. They are both old shows that I've only just discovered on Hulu. Some of you know Rupert Penry Jones from The Strain or Black Sails. Truly, Silk belongs to the woman of the series, Martha Costello played by Maxine Peake, but Clive, a former lover, all around scalawag, professional rival but also good friend to Martha, is very much the key secondary part. 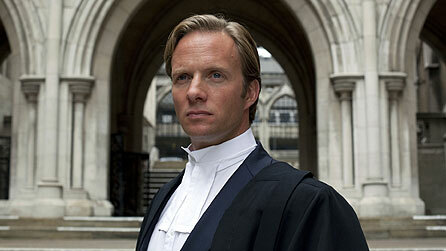 What I love about the show are the differences it reveals between the British court system and ours here in America. The surface details, the files wrapped up in ribbons, the senior clerk who manages the 'chambers' wrangling the cases and assigning the barristers, and especially the formality of the robes, and the wigs worn by the barristers who plead cases in court. Alright, I admit it. I also like Jones. Taking Silk is an honor, symbolizing a barrister’s lofty position as a QC (Queen’s Counsel). A QC is a barrister appointed by the Queen after having achieved a certain level of eminence. It’s a highly privileged status which both Martha and Clive aspire to. With being a Silk come the desirable silk robes, hence the ‘taking silk’ reference. It was news to me that solicitors, on the other hand, wear their own clothes and go wig-less, providing advice to the clients and acting as go-betweens for their clients and the barristers. It’s an extra layer which one would think would clutter the system and distance the barrister’s knowledge of the case but it may be more like our system of paralegals and lawyers. I dunno! 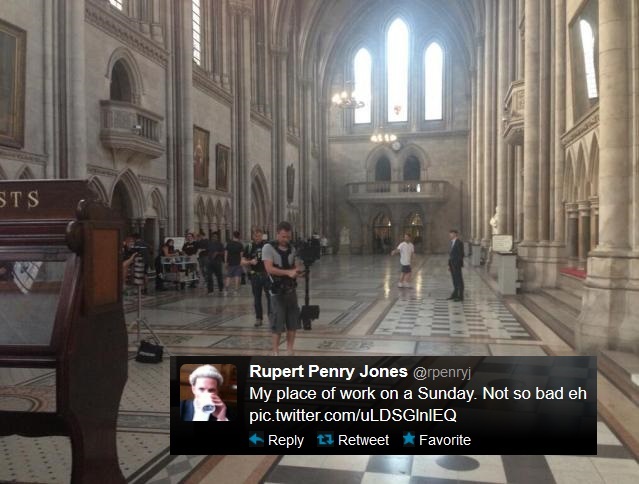 Naturally I want to visit the Old Bailey, the Royal Courts of Justice, the Inns of Court and the surrounding area! I’m hoping to see lawyers rushing off in their robes, young law students dashing and clacking across the marble floor, holding their wigs on their heads. What I’ll probably see are fellow tourists. I’ll stop by Shoe Lane where the fictional chambers from Silk are located but a little birdie told me Goldsmith Chambers actually stand in for Shoe Lane on the show so we’ll stop there time, permitting. We have a Ripper tour already reserved and paid for, that night. Since we’re also in Dicken’s neck of the wood, a stop by the ancient Ye Olde Cheshire Cheese for a brew will be in order. Sir Arthur Conan Doyle put back a few here as well, so that should keep my husband happy. I’ll let you know what I find, posting pictures here and on Instagram, Twitter and Facebook depending on time. I guess you could say, I’ll keep you posted. See you next week, from London! Cheeeeeeers! Joy Weese Moll’s British Isles Friday meme. Y'know - I like London so much more now that I'm not working in it every day! Thanks Mike! Great tips which I'm copying into my travel folder on my phone! Much appreciated. I saw on Facebook that you had a splendid start to your trip! I just finished Whitechapel. I started and stopped with Silk, but I may try again. 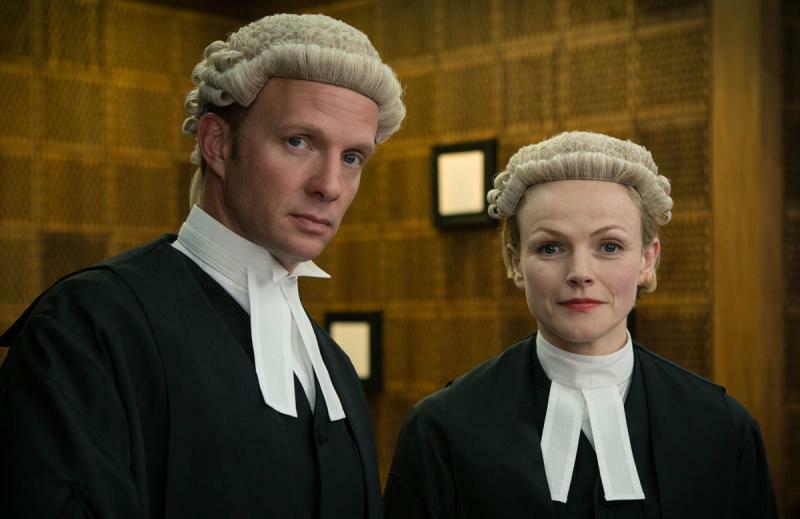 My husband watched the whole series and found it a great way to learn about the British justice system.